Adds Dual-Modem Technology for More Bandwidth and Higher Availability. 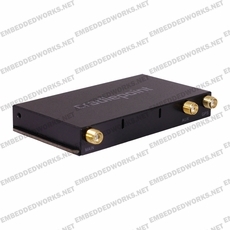 This add-on modem allow you to have 2 modems in a single router for added flexibility. Included with the CradlePoint AER 2100, AER1600, AER3100 Advanced Edge Routers, theMC400 Integrated 3G/4G/LTE Modem fuses enterprise reliability withunparalleled agility for networking at the edge. Adding a secondMC400modem provides enterprises greater bandwidth for additional usersandtoday�s demanding applications. In addition, more and moreenterprisesare demanding the ability to support diverse LTE carriers within asinglerouter for high availability requirements.